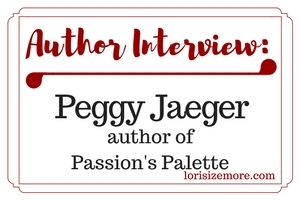 Today, I’m interviewing Peggy Jaeger, a fellow author from The Wild Rose Press, and really sweet human being. She’s releasing a new title, Passion’s Palette, which sounds wonderful. Tell us a little about yourself, perhaps something not many people know. While I come across as assertive (some would say aggressive at times), I am in reality very introverted and shy. I’m always nervous I am going to the say the wrong thing to someone unintentionally, or hurt someone’s feelings unknowingly. Because of this I have a huge personal space bubble around me and I don’t let very many people passt it. 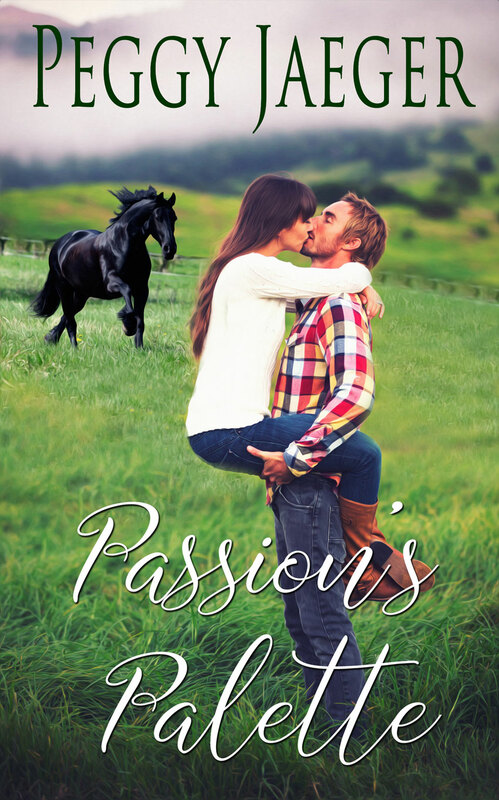 Passion’s Palette is the 5th book in my MacQuire Women series and tells the love story of artist Serena MacQuire and veterinarian Seamus Cleary. This is actually the second prequel I’ve written in the series. The first book to be published was the story of Serena’s niece Tiffany (SKATER’S WALTZ) then the next two were about Serena’s twins Moira (THERE’S NO PLACE LIKE HOME) and Padric ( FIRST IMPRESSIONS.) After those three were written, I really wanted to explore the two mothers of all these people. I wrote Carly, Serena’s older sisters’ story, first ( THE VOICES OF ANGELS) and then I knew Serena needed to share her own love story with the romance reading world. Part of that question I’ve just answered, but the rest of the reason is that I wanted to show how losing people you love – and not only people! – doesn’t have to close off your heart to ever finding love again. My grandmother was only 33 when she lost my grandfather. She had three little girls to raise and was left penniless. This was in the 1930’s before welfare and government assistance for children and mothers. My grandmother never married again, and never engaged in any kind of romantic relationship, even when her daughters where grown and out on their own. She simply closed her heart to ever finding love again, and that just made me so sad for her. So I wrote a tragic past for Serena along the same vein, and had her closing her heart to ever being able to love a man again without being fearful she’d lose him. Seamus Cleary is the man to break that wall down and claim her heart, thereby freeing her from a lifetime of loneliness. Before I tell you I have to tell you that, as a nurse, I have a scientific background and I use that knowledge base to guide me through life, decisions and problems. What that means is that I look at a problem from every angle, figure out where I want to go in solving that problem, and then think of events that would deviate me from solving it. So, that’s a longwinded way of saying I am a plotter first, last, always. Before I ever type Chapter One on my laptop, I know every single facet of my H/H’s lives. I do a full story bible, write my GMC ( Goal, motivation, Conflict) out on a dry erase board for clarity, and then troll the internet and magazines for images of what I think my H/H look like. I make Pinterest boards for my books in progress, and I do vision boards for each story so I can visually refer to them during the day when I write. All this planning takes anywhere from 2-3 weeks, so when I actually start to write, I know where I am going, and when and how I am going to get to the end. I have a minimum daily ( 5 days a week) writing goal of 2500 words, but most days I exceed that, which is why I can churn out an 80,000 word first draft in about 6-8 weeks. What advice would you give a writer just starting out? Share 3 pearls of wisdom. A. First and foremost, write the story of your heart-do not write for what’s trending at the moment. Fads change. Today’s vampire love story will morph into something new in a heartbeat. 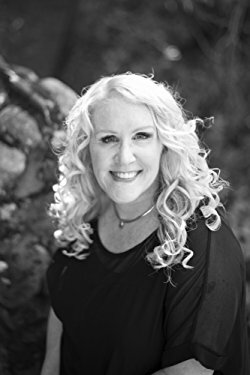 If you’ve got a story about a newly divorced 45 year old with three kids and she needs to move to Antarctica to survive – then write that story and make it the best story you can. B. Try to write every day. I heard Nora Roberts once say writing is like exercising a muscle. If you don’t use the muscle, it weakens and atrophies. I think this is the same for writing. Even if you don’t work on your current story every day, post something you’ve written on your website, or a diary, or write a piece for another writers’ blog. Just utilize those writing muscles so they keep strong and toned. C. Go to a romance writing conference like RWA or RT, or any of the dozens of writing chapters around the country and soak up as much knowledge as you can. While there do not be afraid to ask questions of other writers – even the really famous ones! Believe me, they are willing to talk to you. They remember what it was like to be a fledgling, unpublished writer and I’m sure they wished they had asked questions of their idols that they didn’t take the opportunity to. Thanks so much to Peggy for sharing her new release and letting us get to know her better! Lori – I just lovelovelove my fellow Wild Rose Sistahs!!! Thanks so much for this opportunity to introduce your readers and your fans to Seamus And Serena. I love these two, and I hope everyone else does as well. Keep writing! I would never peg you as an introvert, but I can totally relate. :) Good luck with the book! Excellent writing advice, Peggy! It was nice to get to know a little more through this interview. Best of luck with this new series…sounds like a fun read! So very happy to host you, Peggy. This book sounds like a winner! A veterinarian and an artist. Quite a combo. And after reading your excerpt, Serena and Seamus have the chemistry. Great excerpt Peggy. Your latest is top of my TBR. Thanks, Donna – Lori asked great questions! Anni – isn’t it funny how our Grans are so similar?!! Hey Peggy, sounds like you’re going to have another winner on your hands withPassions passions palette. Enjoyed your interview never think you were an introvert. Loved the excerpt and the cover is wonderful. Can’t wait to read it. Releases August 4 correct? Hey Tena – thanks for the kind words. That whole introvert thing is as true as true can be!!! I could audition for the role of hermit if I wanted to. Heehee. Yup, relase date is 8.4.17 and it’s up on netgalley if you want to read and review. Thanks for stopping by. peggy jaeger | #RWA17, Are we adulting here?